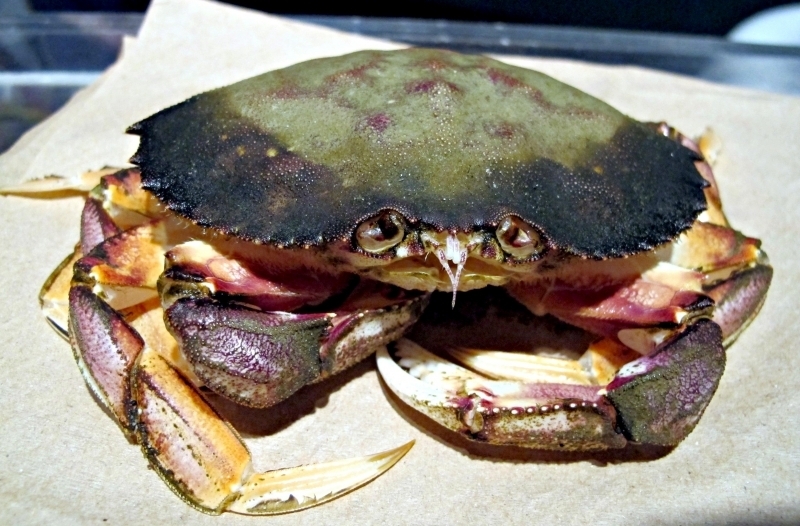 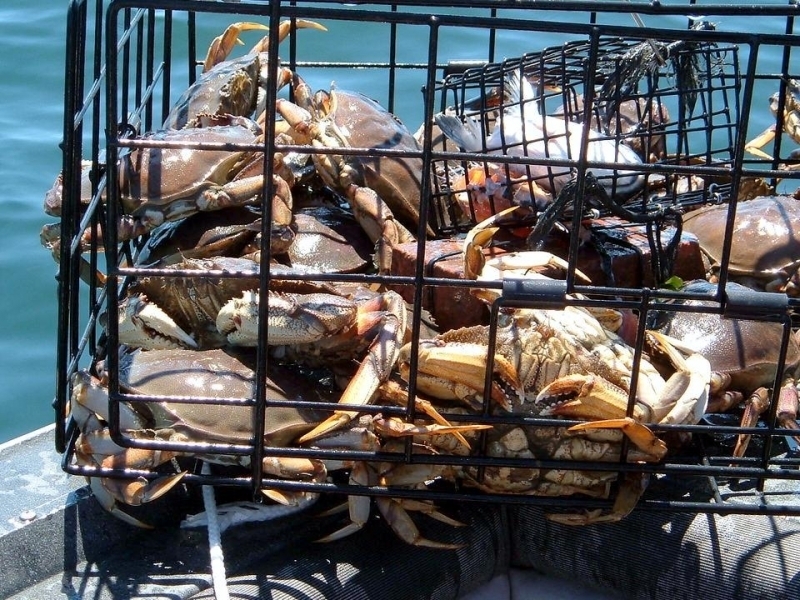 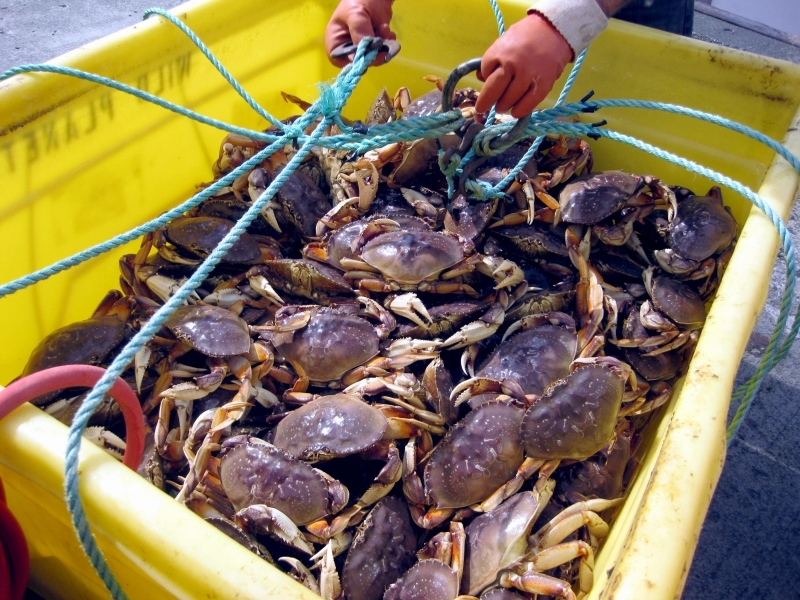 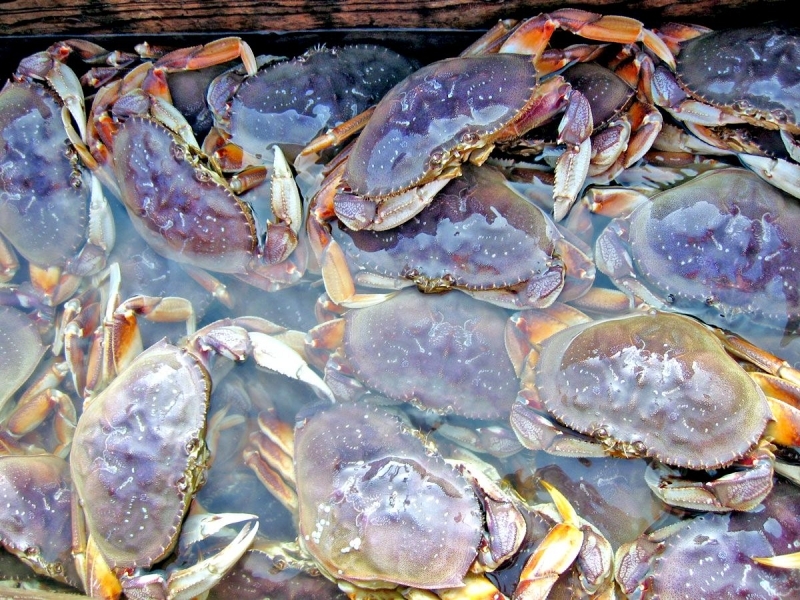 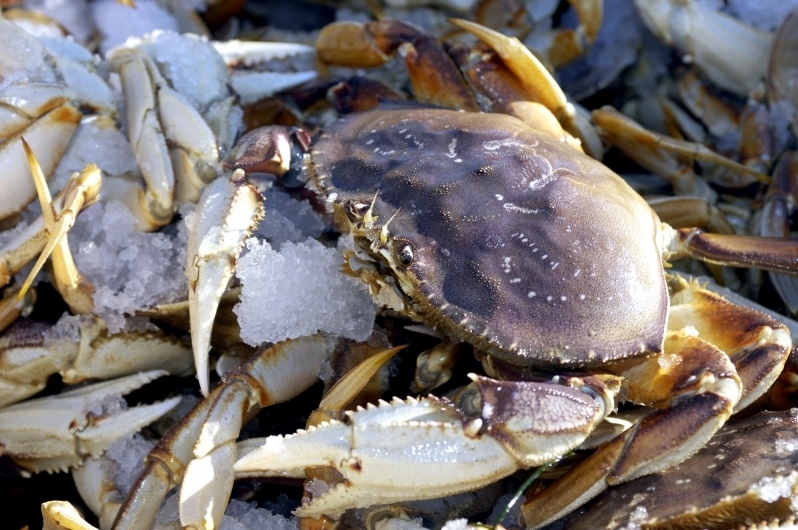 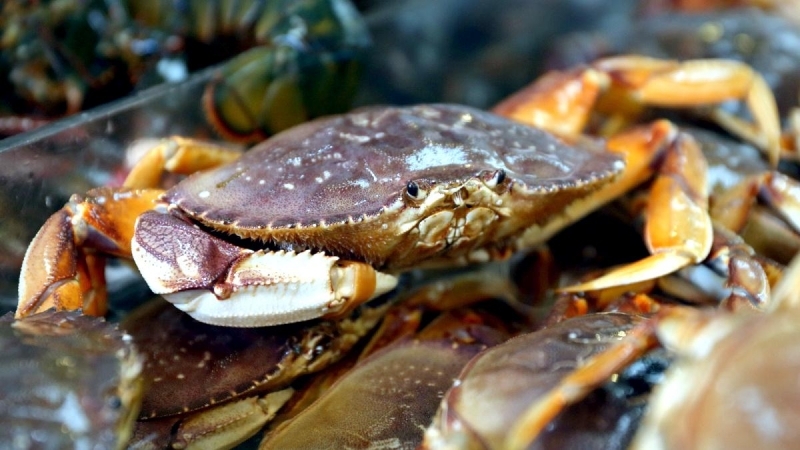 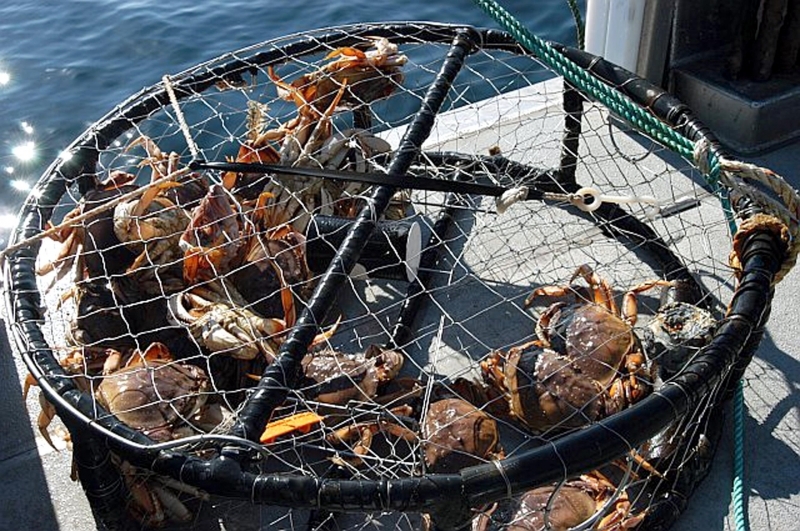 The Dungeness Crab is often considered to be the symbol for the “Cancer” sign. 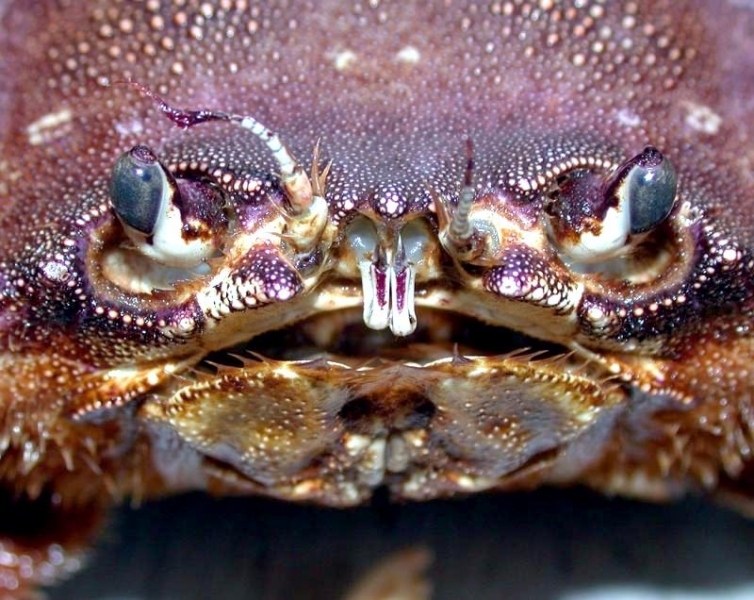 They are about 8 inches long. 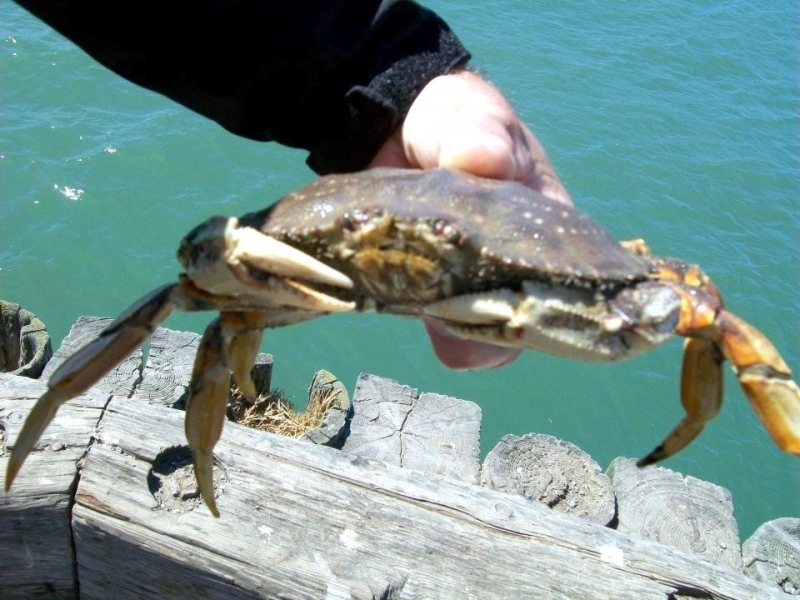 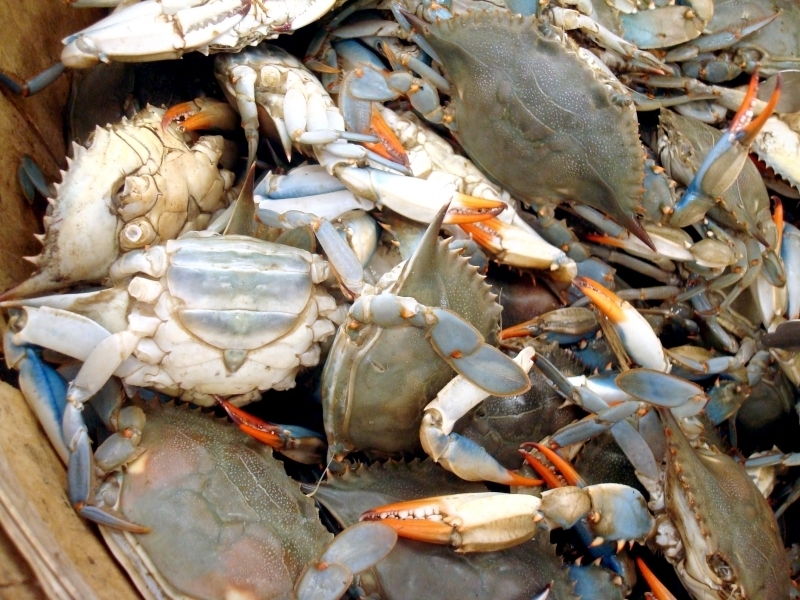 Its common name comes from the USA port of Dungeness, Washington. 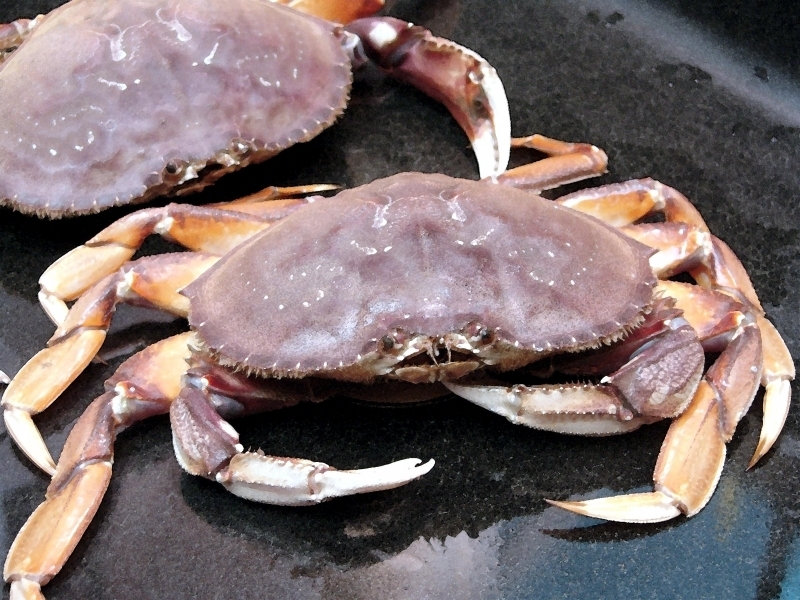 They are considered to be one of the best tasting sources of seafood as well. 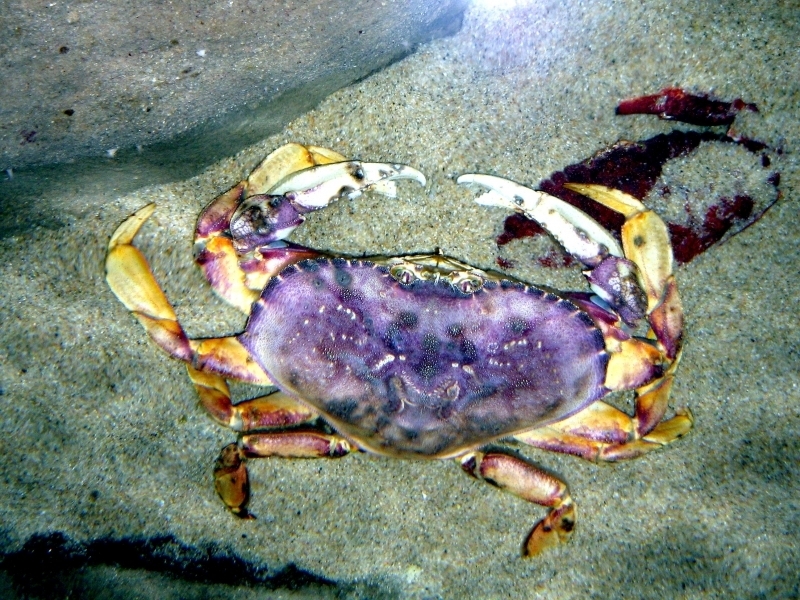 Many people don’t like to come into contact with them as they fear that the pincers of the crab will harm them. 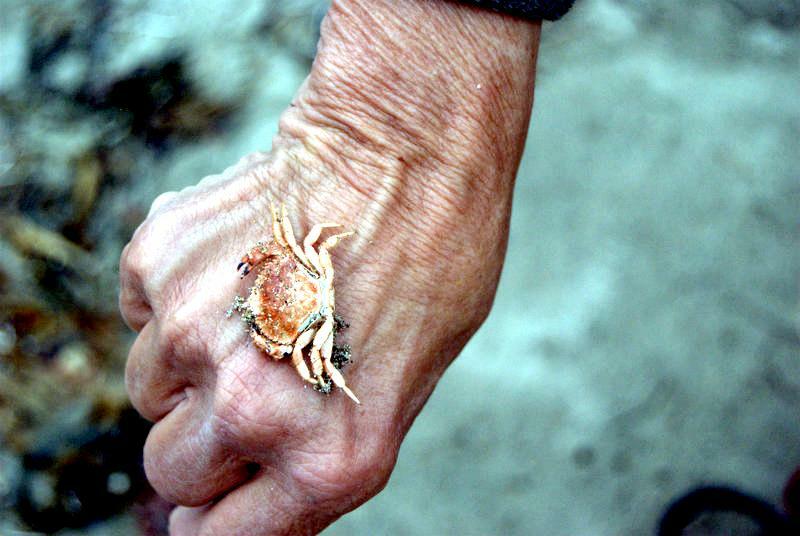 They likely won’t pinch though unless they feel in danger and then they try to defend themselves. 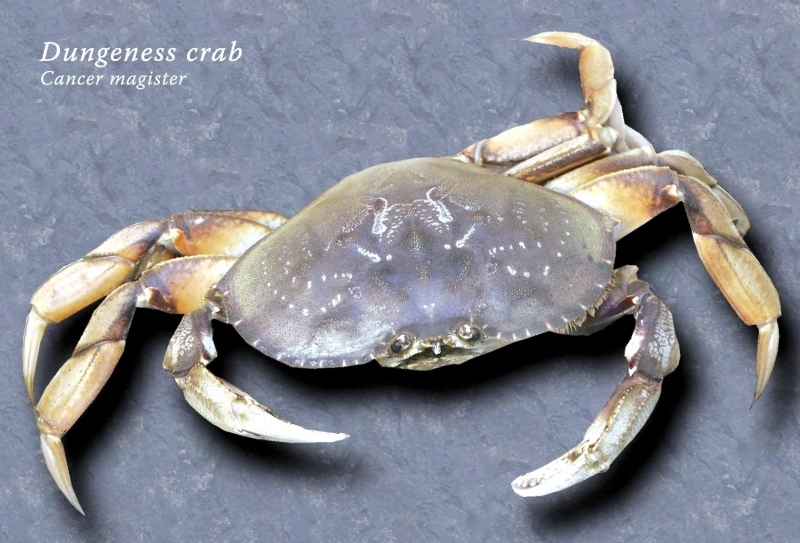 They are a brown color that allows this crab to easily blend into its surroundings. 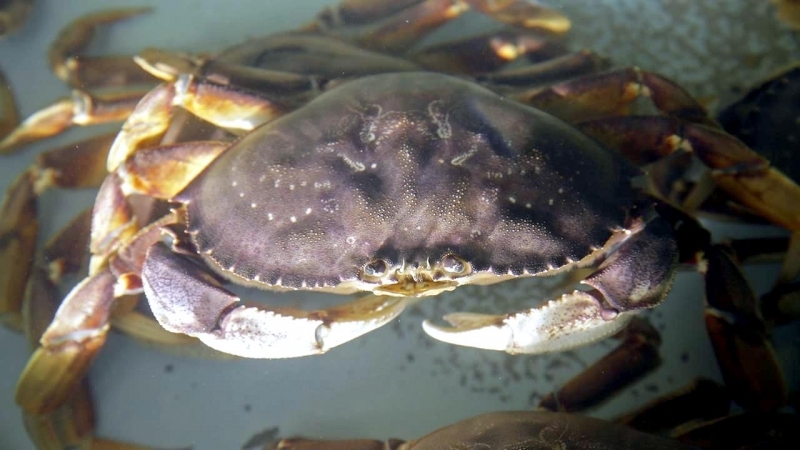 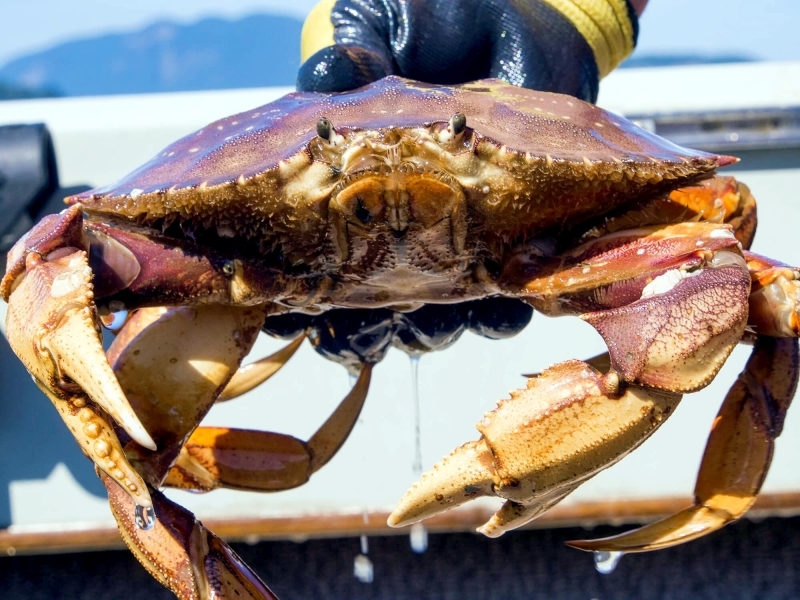 The Dungeness Crab feature a very hard shell that the molt several times over the span of their life so that they are able to continue growing. 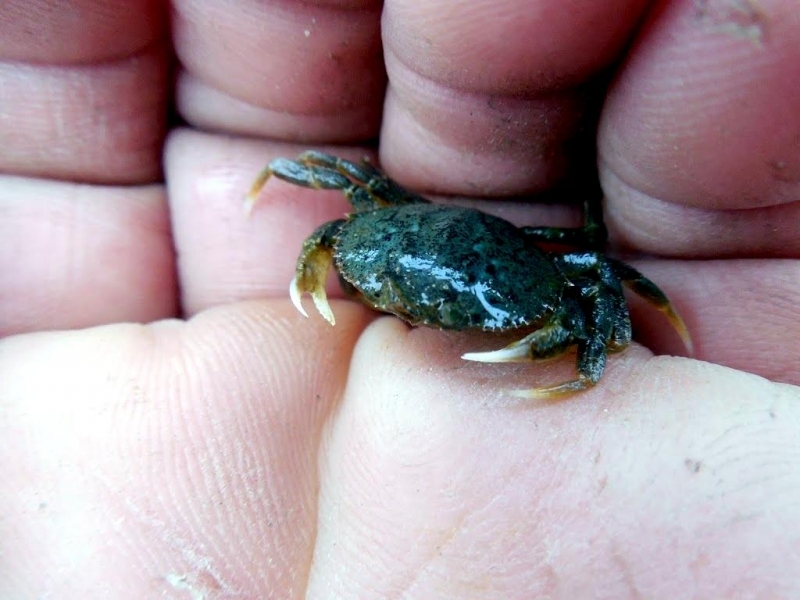 They have 5 pairs of legs and the ends of them feature claws that they use for feeding and for self-protection. 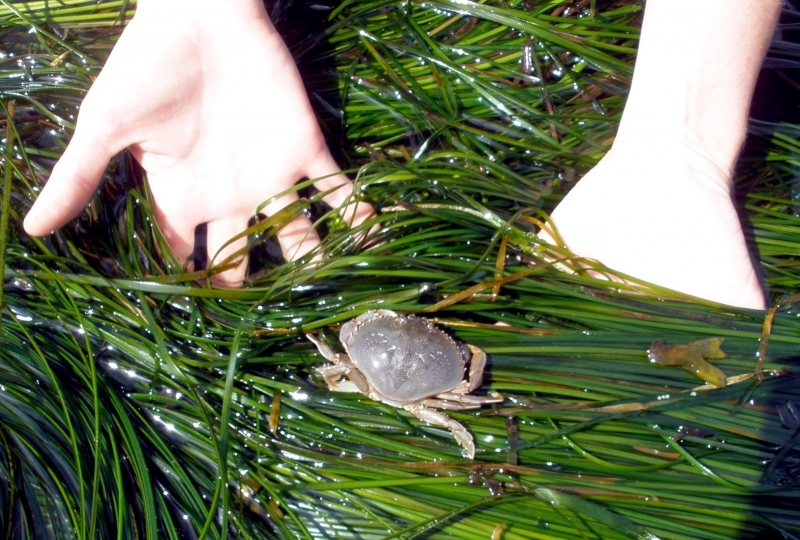 They tend to live in the eel grass beds and the bottom of the water. 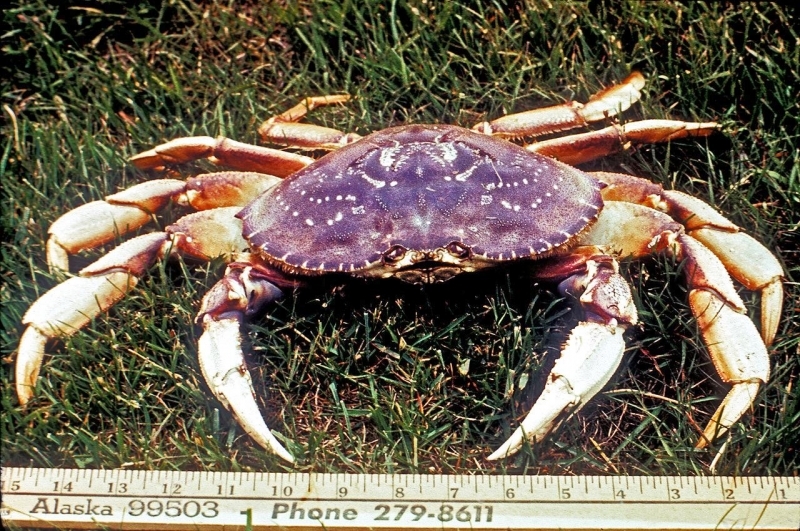 They are found living in North America, mainly along the west coast. 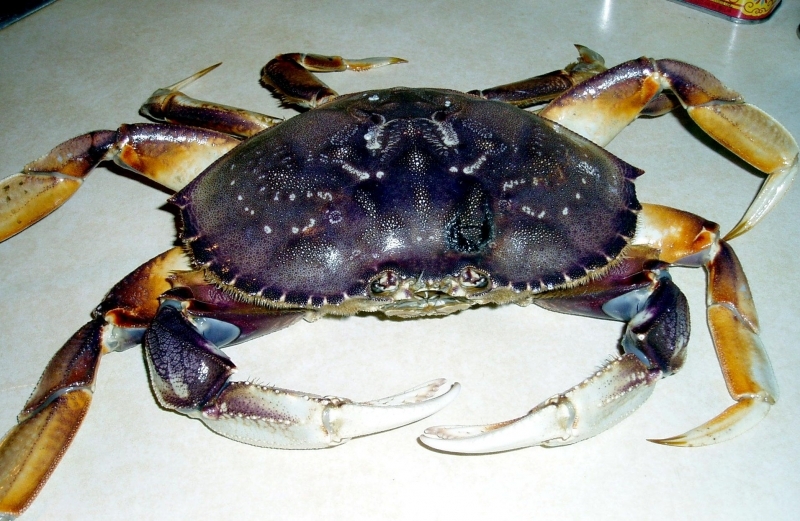 There have been reports of some of them in the Atlantic Ocean as well. 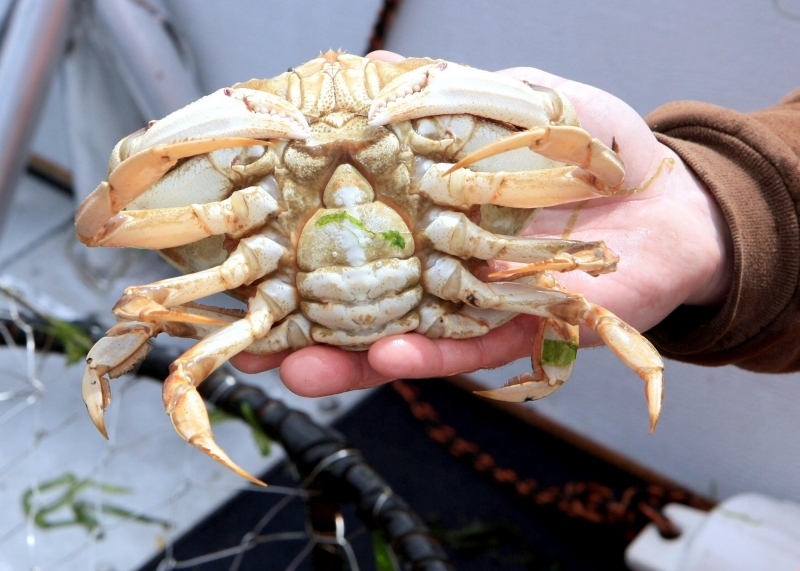 This has experts concerned because they aren’t sure how they got there. 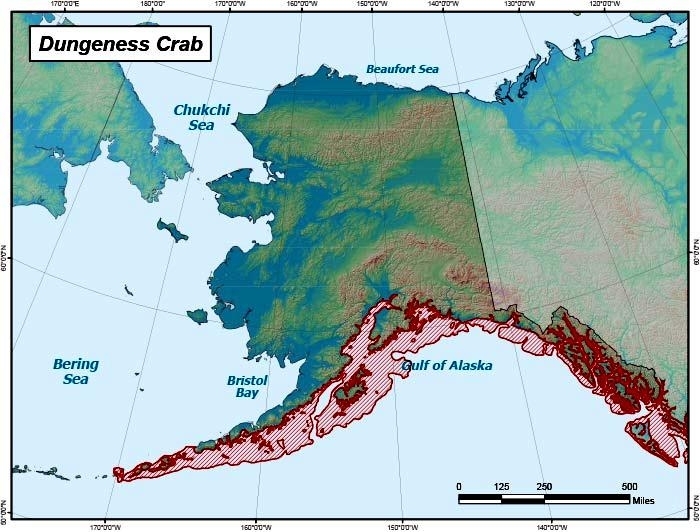 They worry about how the presence of this crab will affect the rest of that ecosystem. 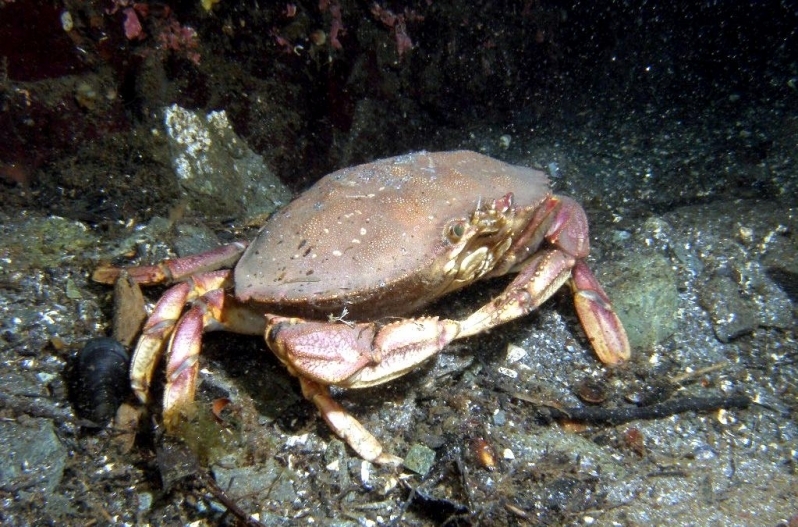 The Dungeness Crab often can blend into its surroundings so well that it is undetected. 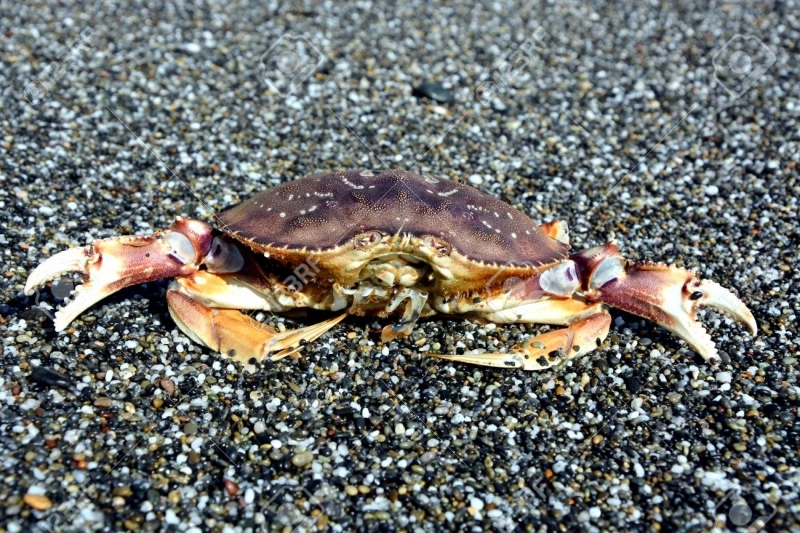 They often stick their heads into the sand when they feel there is some type of danger around them. 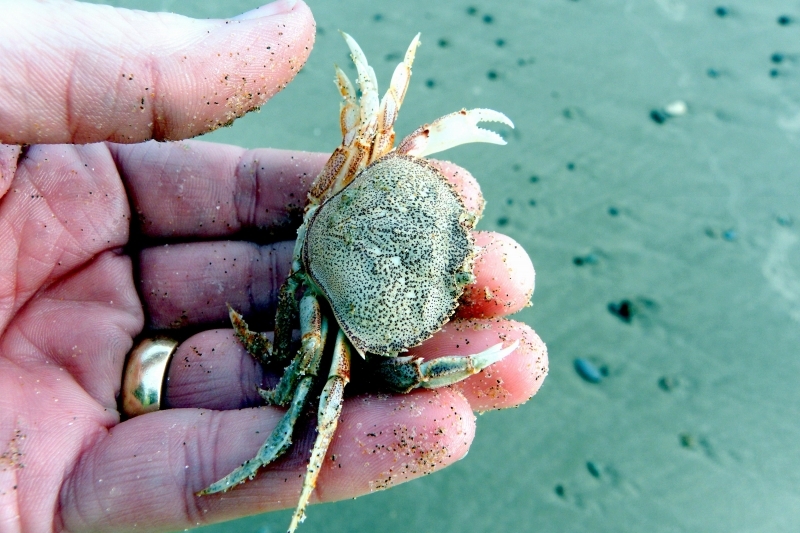 They can also bury their entire body in the sand if they have enough time to do so. 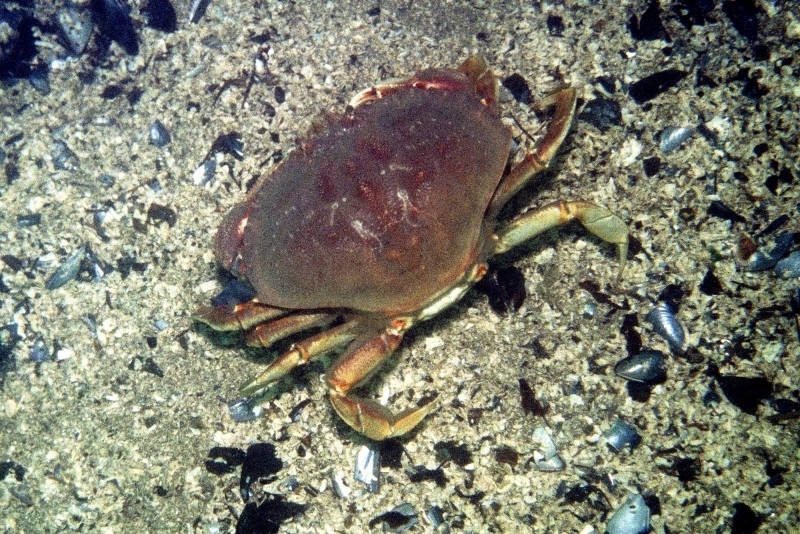 If they can’t bury themselves they will roll over onto the back so that their claws are facing the threat and they can fight. 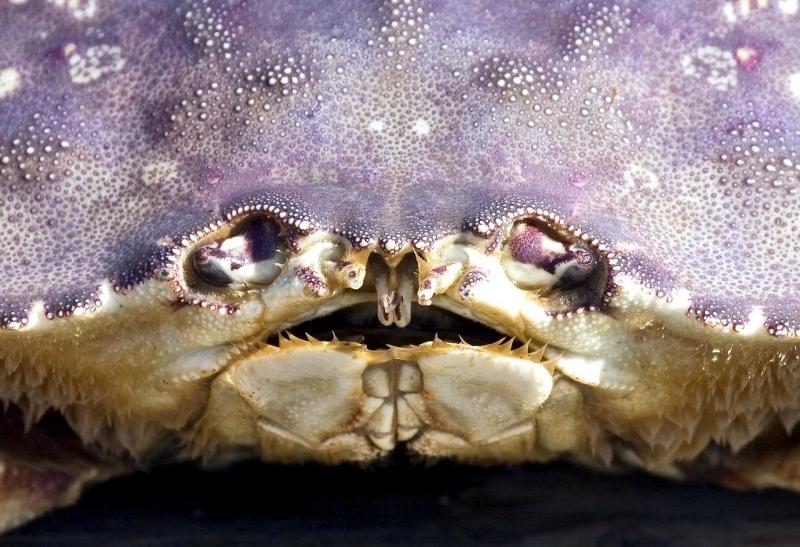 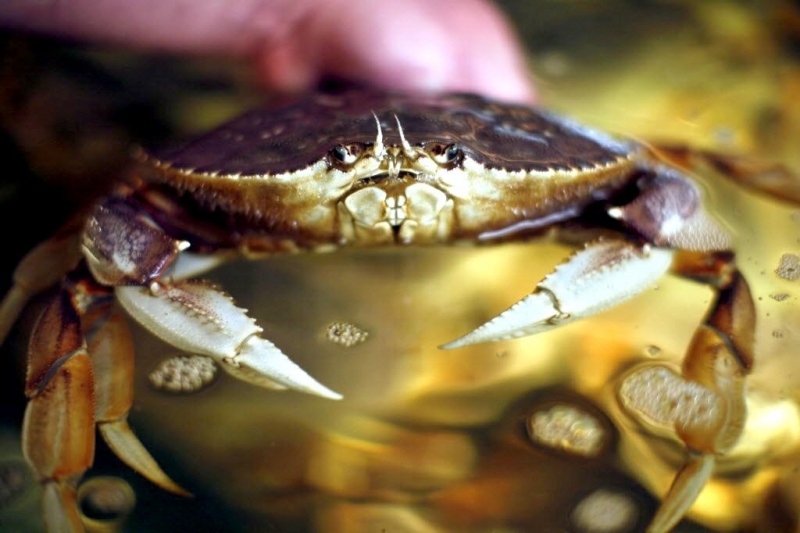 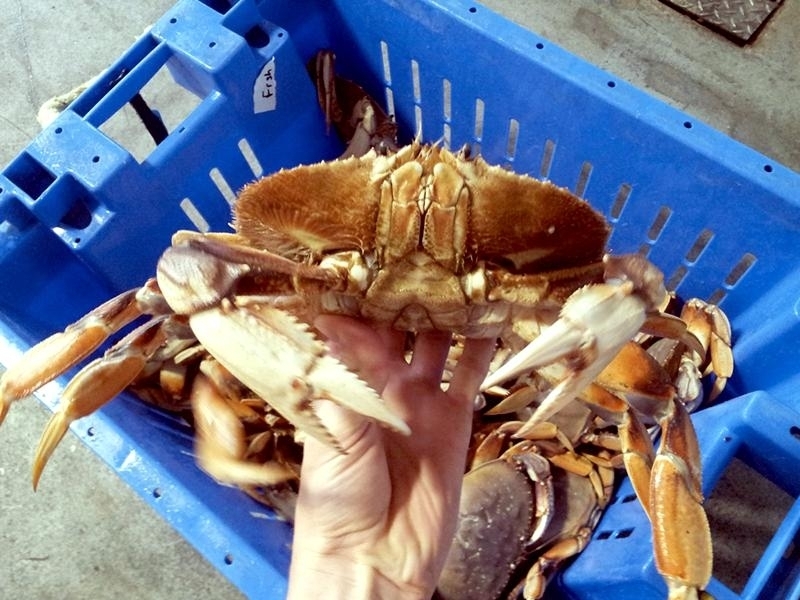 The claws of the Dungeness Crab are very sharp and they use them to be able to grasp food and then to break it apart. 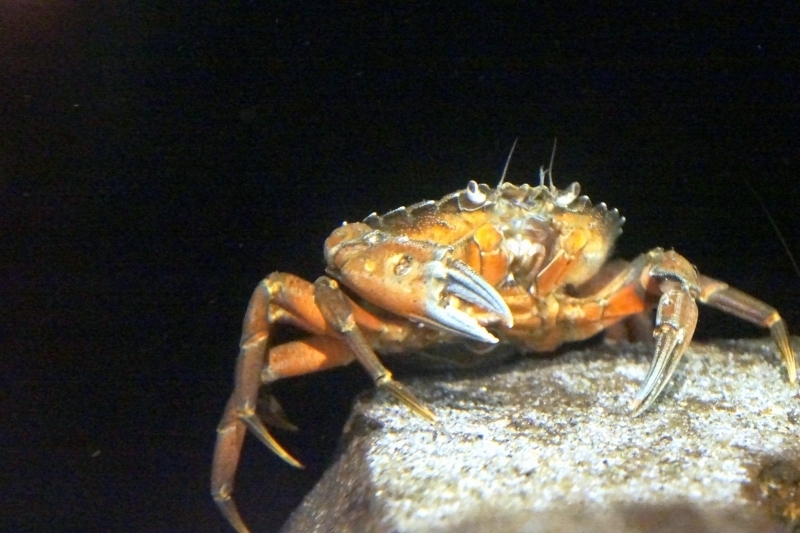 They also have smaller appendages that allow them to move the food into their mouth. 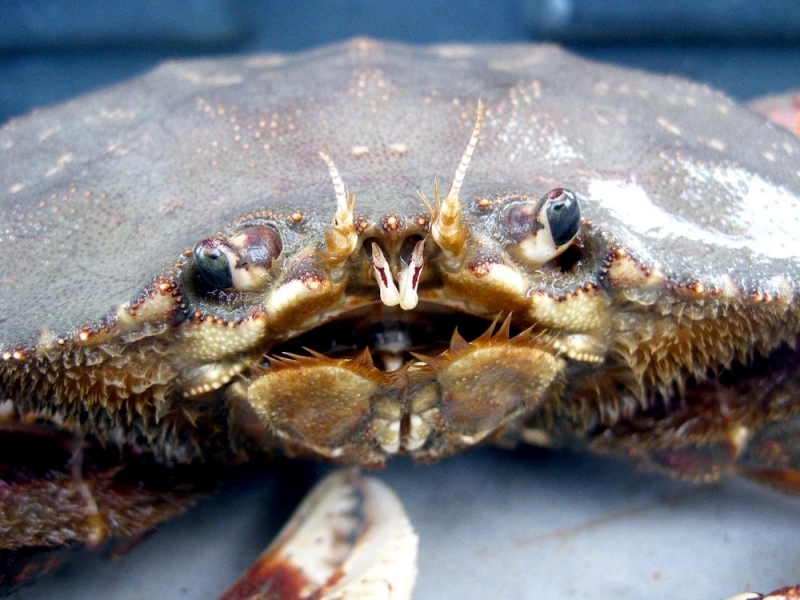 They consume clams, crustaceans, small species of fish and just about anything that they can find that other predators have left behind. 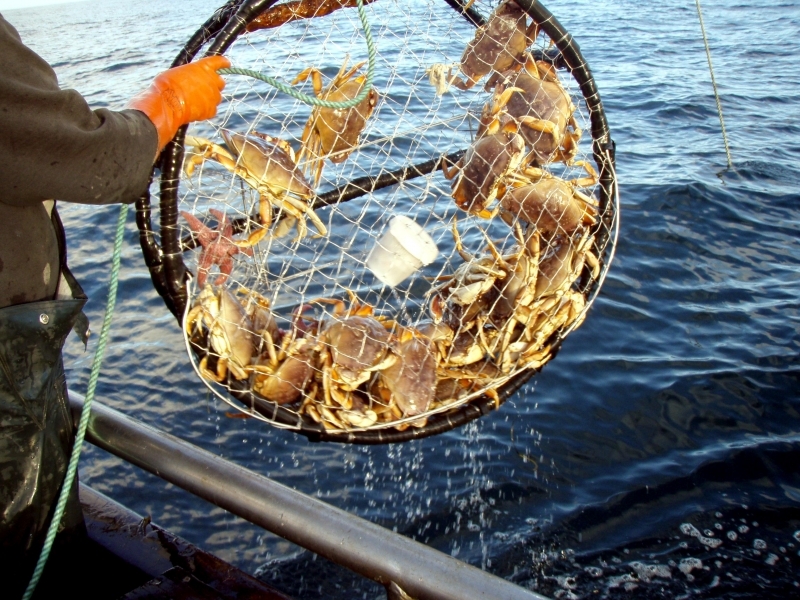 They spend a great deal of their time looking for food and eating what they come across.